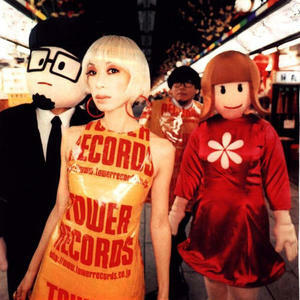 Pizzicato Five (often nicknamed "P5") is a legendary Japanese group that formed in 1984. Arguably the first group to popularize shibuya-kei from underground circles, they also later on began experimenting with the style, with what some called an innovative genre all their own, blending traditional Japanese pop, alternative, soul, funk, jazz, ye-ye, acoustic folk, and early electronic music, among others. They are also perhaps best known to audiences in the west in their later incarnation as a duo of Nomiya Maki (????) and Konishi Yasuharu (????). They are known for their eclectic and energetic compositions, which often sound like "new" releases from the late 1960s hipster scene. Their catchphrase--"A New Stereophonic Sound Spectacular"--captured the group's ironic stance but eager attitude. The group broke up in March 2001. Both Nomiya Maki (????) and Konishi Yasuharu(????) currently enjoy solo careers - with Konishi Yasuharu(????) producing other artists ranging from PUFFY and SMAP to Cornelius and kahimi karie(???????) - alongside collaborative remix compilations - from Ella Fitzgerald and The Supremes to classic Disney and Thunderbirds (as in Super-Marionated) music on his Shibuya-based Readymade Records label.